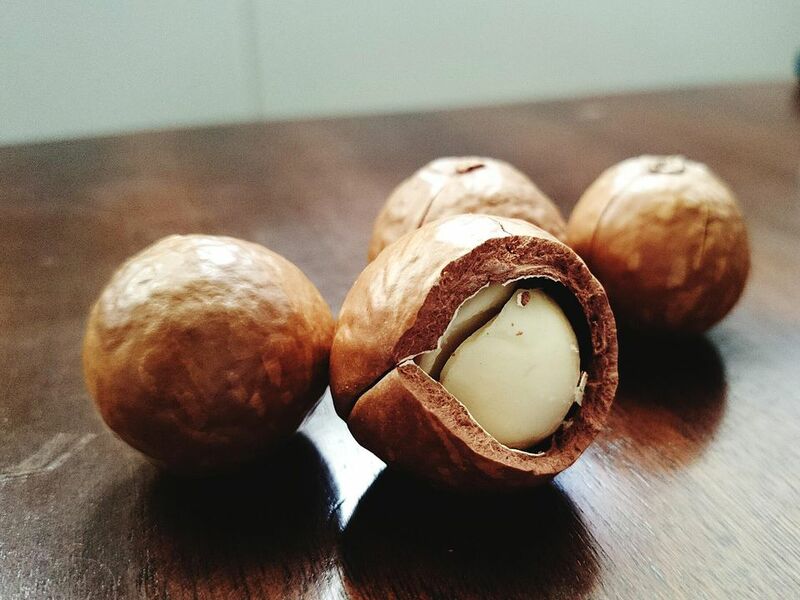 Macadamia nuts are those small, round, almost chickpea-like nuts that hail from land down under, otherwise known as Australia. In fact, macadamia nuts have also been known as Queensland nuts or Australia nuts. But macadamia nuts are no longer restricted to natives or travelers to Australia. After they were "discovered" by the rest of the world until the late 19th century, they became especially popular in Pacific island cuisines. Today, Hawaii is the world's single largest producer of macadamia nuts. They are the fattiest of the nut family and their rich and creamy flavor makes for a great addition to all sorts of dishes from desserts to main courses. Macadamia nuts pair particularly well with coconut, chocolate, and fish. While some macadamia nut fans would argue that there are no real substitutes for the nut (isn't that always the case? ), there are a couple of good options if macadamia nuts are hard to come by or you don't have them on hand. In fact, macadamia nuts can be substituted for other nuts measure for measure in most recipes and vice versa without necessarily compromising the integrity of the original recipe. Brazil nuts are about three times as large as macadamia nuts and have a stronger flavor, but many find that they are a good substitute option. To mimic their creamy texture, some cooks have opted to substitute cashews for macadamia nuts as well. Others have tried skinless almonds with some success. Whereas others go as far as to substitute macadamia nuts with pecans or walnuts, which are also well-known for their place in sweet dessert recipes.